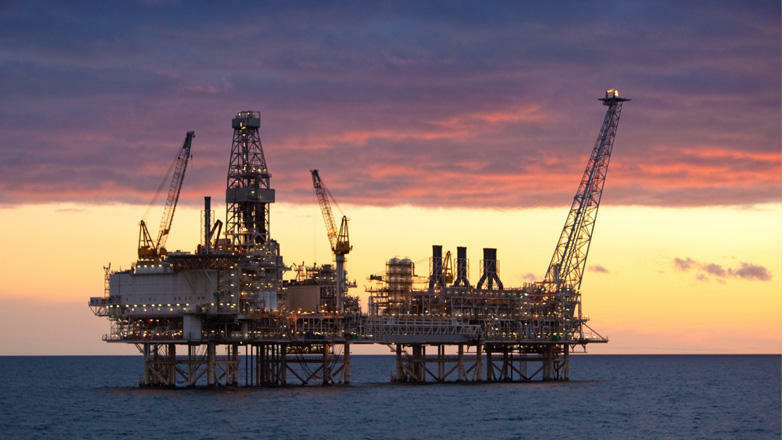 Azerbaijan not only increased the production of oil and gas this year, but also their supplies to neighboring countries. In January-August 2018, Azerbaijan produced 25.7 million tons of crude oil, including gas condensate. Of this amount, most part fell for the commercial crude, the State Statistics Committee said. Thus, the production of oil increased by 0.9 percent in the annual comparison. During the reporting period, the country produced 19.5 million cubic meters of natural gas, that is 4.6 percent more than in 2017. The share of commodity gas accounted for 12.1 million cubic meters of production, which is 0.5 percent more than in the same period of last year. About 15 million cubic meters of gas were transported along the main gas pipelines of Azerbaijan in the reporting period. Growth of 3.5 percent was observed in transportation along the main gas pipelines in comparison with the corresponding period of 2017. The Baku-Tbilisi-Erzurum (South Caucasus Gas Pipeline) pipeline accounts for 31.1 percent of the total volume of gas pumped through main gas pipelines. This pipeline transported 4.9 million cubic meters of gas, which is 4.4 percent more than in the same period last year. The Baku-Tbilisi-Erzurum pipeline transported 6.3 million cubic meters of gas to Turkey from the Shah Deniz field in 2017. Baku-Tbilisi-Erzurum (BTE) Gas Pipeline has been built to transport the gas produced in the Shah Deniz field located in the Azerbaijani sector of the Caspian Sea to Georgia and Turkey. The pipeline has the capacity to pump gas up to 20 billion cubic metres a year. Azerbaijan and Turkey signed a gas agreement in March 2001 providing for the export of gas from the Shah Deniz 1 field to Turkey. First export gas was pumped into BTE in March 2007. The pipeline has four delivery stations, one being in Azerbaijan and three in Georgia. The South Caucasus Pipeline (SCP) was built to export Shah Deniz gas from Azerbaijan to Georgia and Turkey. The pipeline starts from the Sangachal terminal near Baku. It follows the route of the Baku-Tbilisi-Ceyhan (BTC) crude oil pipeline through Azerbaijan and Georgia to Turkey, where it is linked to the Turkish gas distribution system. During January-August 2018, 27.3 million tons of oil was transported along the main oil pipelines of Azerbaijan. The export pipeline Baku-Tbilisi-Ceyhan (BTC) accounts for 81.4 percent of the total volume of transported oil. Over eight months of this year, 22.2 million tons of oil was transported via this pipeline. The volume of oil pumping through main pipelines declined by 4.4 percent in annual comparison, through BTC – by 0.8 percent. During this period, 4.2 million tons of transit oil was transported via BTC, which is 2.46 percent less than the corresponding indicator a year earlier. The BTC pipeline originates from the Sangachal terminal, located near Baku. The daily throughput of the pipeline is 1.2 million barrels of oil. The 1,768-km pipeline was put into operation in June 2006. The BTC pipeline currently carries mainly ACG crude oil and Shah Deniz condensate from Azerbaijan. In addition, other volumes of crude oil and condensate continue to be transported via BTC, including volumes from Turkmenistan and Kazakhstan. The BTC Co. shareholders are: BP (30.1 per cent); AzBTC (25.00 per cent); Chevron (8.90 per cent); Statoil (8.71 per cent); TPAO (6.53 per cent); Eni (5.00 per cent); Total (5.00 per cent), ITOCHU (3.40 per cent); INPEX (2.50 per cent), ExxonMobil (2.50 per cent) and ONGC (BTC) Limited(2.36 per cent). Azerbaijan has a large number of oil and gas fields and promising structures in the Caspian Sea. One of them is the block of oil and gas fields “Azeri-Chirag-Gunashli” (ACG), proven oil reserves of which are estimated at 1.2 billion tons, while gas reserves-350 billion cubic meters. Another large field is the Shah Deniz gas condensate field, reserves of which are estimated at 1.2 trillion cubic meters of gas. Within the second stage of field development, the volume of gas production can be increased to 24 billion cubic meters per year, according to forecasts. There are also such deposits as Absheron (350 billion cubic meters), Umid (200 billion cubic meters), and the promising structure of Babek (400 billion cubic meters). Azerbaijani gas is currently exported directly by the State Oil Company of Azerbaijan SOCAR to Iran and Georgia, and by the Shah-Deniz consortium via the Baku-Tbilisi-Erzurum gas pipeline to Georgia and Turkey. The overwhelming part of oil produced in Azerbaijan falls on ACG block. Almost all oil from the block is exported by the Baku–Tbilisi–Ceyhan (BTC) pipeline. Azerbaijan's oil is exported from the country not only in raw form, but also in the form of oil products. Azerbaijan’s oil products are exported to such countries as Turkey, Georgia, Italy, Egypt, Greece, Lebanon, Singapore, Ukraine, Afghanistan, Tajikistan, Uzbekistan, Malta, Libya, Romania, China, Spain, Bahamas and others. The country’s only oil producer is SOCAR.